Hello! Some people from MJ.com recommended this site, I'm there under the same username and picture! These little emoticon things are awesome! new here want to say hello to everyone! Hiiii! Right here I am, mommaz. I followed my heart HOME and that, of course, is here. Thanks for joining, Wanda, MJJForever is always happy to welcome new members. Here it makes NO difference to anybody of when you joined or became a fan, it just matters that you're here! I am Wanda and I have been a fan of MJ's for all of his career......I've atttended 5 concerts and for those of you that have never went to a live concert......you have missed it.....he was amazing!!! I should know a couple of fans that frequent here and I guess I will see who you all are if you decide to contact me through here......I came looking for a special pal of mines and there name is KINGOFPOPJUNKY!!! So where are u Ms HOOD? Hello peeps! For the benefit of those who don't know me, my name is Michelle (please call me Mikki) and I've been a MJ/Jackson 5 fan since I was 6. I joined the MJ.com site in Sept & enjoy meeting fellow MJ/Jackson 5 fans. I'll be popping in when I can. Hi I'm Vandy and I too came over from the Sony site since it is down for who knows how long. I am a member of the Gold Pants Appreciation Society and one of the "Golden Sisters". I am originally from Illinois but now live in Oklahoma City. I have a lot of indirect tie ins with Michael beings my inlaws live in the Santa Maria area and about 30 minutes from the Neverland Ranch. I became an MJ fan when he stepped over to a rock genre which was around the Thriller/BAD era since I was really into the 70's rock bands. 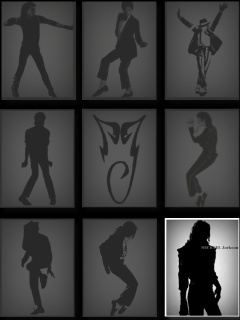 I love to sing Michael's songs and perform his dances, and do a pretty good job at both. I'm looking forward to reading other fan's coments, replying to topics, and posting my own comments. See all of you around the forum! Doing pretty well. Staying busy. Ima alright thankyou, been too long. Hello ladies and welcome to the SFL haven. So wonderful of you all to join us. I hope to get to know you all and read you often. Hi guys I just got bak from London all set and ready 2 update the caption thread and I see that the mj forum is all up the creak. Has any1 got any info on that. Do ya think I should wait til it is fixed b4 I carry on or continue on here? Up the creek! I love that phrase, typical slang saying You might not have been aware that the forum is back up and I subsequently replied to your thread with my usual contribution. You've also noticed that the reply feature is at the very bottom of the screen rather than click on the reply link as it will take you automatically to the reply window anyway. I'm sure Viscera, Sandra and Sarrah (Junky) won't mind while I personally think you should contribute your thread here as well. We all could do with a bit of a laugh as well as fun and frivolity. Oh! How did i miss that. Im delighted to have found this site and see some familiar names, having withdrawal symptoms without the sony site. How do you personalise your avatar on this site? could you advise me, im pretty thick when it comes to computers, and i think itl take me a few months to get to grips with this one.